A campaign to overturn one of the most disputed rulings of the Bloody Sunday inquiry is to make its case to both the London and Dublin governments. 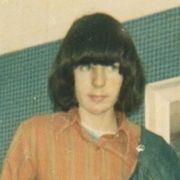 A report entitled ‘Gerald Donaghey: The Truth about the Planting of Nail Bombs on Bloody Sunday’ has said there is strong evidence that nail bombs were planted on the body of 17-year-old victim Gerald Donaghey after he was shot on January 30 1972. All of the innocent victims were falsely portrayed by the British Army as potential combatants in the aftermath of the massacre. No nail bombs were thrown on Bloody Sunday. The claim that Gerald was carrying any such devices has always been denied hy his family. The findings by British-Irish Rights Watch were published this week to coincide with the second anniversary of the publication of the Saville report. The Bloody Sunday Trust also intends sending the report to Mark Saville and his fellow judges. Saville concluded that all the victims of Bloody Sunday were entirely innocent and had been shot dead by British soldiers without justification. However, he also claimed it was possible that Gerald Donaghey had been carrying nail bombs when he was shot, although this did not justify the shooting. Following its own analysis of the evidence presented to Saville, British Irish Rights Watch has said the teenager could not have had nail bombs in his pockets. “It follows from our conclusion that members of the security forces must have planted nail bombs on Gerald Donaghey’s body after his death, an act which added insult to injury and has left Gerald Donaghey with an undeserved stain on his character to the great grief of his family,” the organisation’s director Jane Winter said. Shot by the same bullet that killed Gerald McKinney, the teenager was treated at the scene by Dr Kevin Swords. The doctor found no nail bombs when he examined the dying victim. While the injured youth was being taken to Altnagelvin Hospital, the car carrying him was diverted to a British army base. It was here that Gerald Donaghey was pronounced dead and it was claimed nail bombs had been found in his pocket. Ms Winters said the bullet that ultimately killed the teenager had passed through one of the pockets in which it was alleged a nail bomb had been present. Conal McFeely, the chairman of the Bloody Sunday Trust, said the new report would be sent to the Irish and British governments as well as members of the Saville inquiry. “We want Saville to read it and to take into consideration the views of the citizens of this city and the evidence because he talked about one probability,” he said. “We’re simply saying that there are other possibilities as well. Meanwhile, the family of Bloody Sunday victim Alex Nash have called for justice on the anniversary of the Saville report. In an open letter, they said the failure to prosecute the soldiers who carried out the Bloody Sunday killings had “belittled” the victims. “When it came to the people who planned and gave the orders, the report was a whitewash”, they wrote. The following is the full text of the letter by Kate and Linda Nash. The second anniversary of the Bloody Sunday report is not a time for celebration but for keeping up the pressure for justice to be done. The British Government, and too many people in Ireland, want us to see publication of the report as the end of the matter. They think Cameron’s words on June 15th 2010 should be enough for us. That’s an insult. One of the three demands of the Bloody Sunday campaign, endorsed by all the families, was for the prosecution of the men who pulled the triggers and the others who gave the orders. But there’s no sign of that happening. The report found that neither my father Alex nor my brother William posed any threat to anyone at the time they were deliberately shot down by paratroopers on the streets of Derry. There was no confusion or mistake. British soldiers murdered my brother and attempted to murder my father and so far they have got away with it. David Cameron said that his government wanted to face up to the truth about Bloody Sunday. That was only words. If there is evidence that somebody has committed murder, they should be charged and tried. Otherwise we are saying that the victims, our family members, weren’t full human beings. The dead and wounded of Bloody Sunday are belittled by the fact that there have been no prosecutions. We call on all public representatives to bring this issue to the fore. It is wrong that it has hardly been heard of over the past two years. We owe it to our relatives not to let it rest. All the families have made it clear that we are not looking for revenge. But we do want it acknowledged that murder was done in Derry that day, and that hasn’t happened. There is also the issue of Gerry Donaghey. A shadow has been cast on his memory by the finding in the report that he probably had been carrying nail-bombs. We believe this finding was intended to give the report an appearance of ‘balance’. It wasn’t based on the evidence. This is an injustice which has to be put right. It is also important to remember that the report allowed the army and political higher-up to get away scot-free, as if it was only a handful of paratroopers who planned and carried out the massacre of our relatives. When it came to the people who planned and gave the orders, the report was a whitewash. That’s the main reason Cameron was able to welcome it. The march for justice for Bloody Sunday has not yet reached its destination. There is still a need to keep marching, which we shall be doing again next January and will be hoping for support from all who have campaigned through the years. * Linda Nash and Damian Donaghey, family members of Alex Nash and Gerard Donaghey respectively, will speak at the ‘Truth and Justice’ march and rally in Belfast on Saturday.